Let's be honest. The earbuds Apple bundles with its iPod and iPhone range are horrible. Their sound quality is terrible, with weak bass and a tinny mid-section, they're uncomfortable in the ears and have abysmal sound isolation. It's as if a decade's progress in audio design passed Apple by, leaving you with earbuds that would struggle to impress at the turn of the century, and certainly won't satisfy now. If you've invested in an Apple audio device, it makes sense to spend a little more and get yourself a set of earbuds that do your music justice. And if that device is an iPhone, you could go for a set with inline controls. In a nutshell, inline controls enable you to operate your iPhone from a unit mounted on the earbuds' cable. At the very least, you can pause your music and receive an incoming call at the push of a button, while an inline mic allows you to converse without removing your earbuds – much better than fishing around in your pocket for your phone. Some headsets on test also offer volume controls, track skipping and VoiceOver support. 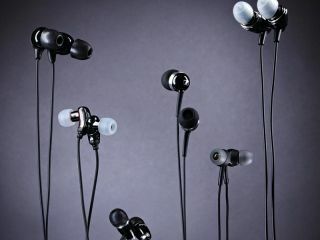 In this group test, we take a look at six iPhone-compatible earbuds that cost under £120. Are they comfortable to wear? Are they easy to use? Is the sound quality up to scratch? We pitch them against each other and see which set comes out on top.